In a remote village in the eastern Indian state of Orissa tribespeople have gathered under hastily erected sheds to decide whether to allow mining group Vedanta to extract bauxite from the earth. 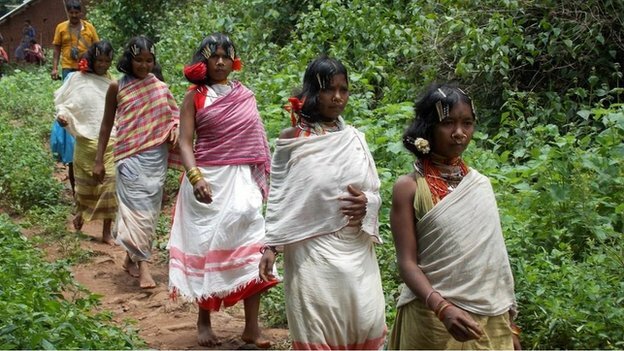 Vedanta, owned by Indian businessman Anil Agarwal, wants to extract bauxite from the 92 sq miles (240 sq km) Niyamgiri hill range which is revered by the Dongria Kondh tribe. The Dongria Kondh say the mining project will destroy their sacred hill and their source of livelihood. 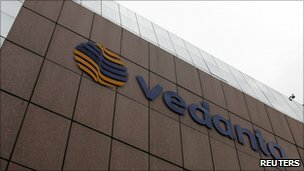 Vedanta has said the project would bring jobs and development to one of India’s poorest districts. In April, India’s Supreme Court maintained an ongoing ban on bauxite mining in the hill range and gave the local village councils in Rayagada and Kalahandi districts three months to decide whether they wanted mining in their area. At the meeting in Baturi village, a judge and a couple of officials sit on plastic chairs under the shed. Then an official reads out the court order and asks the villagers to vote on the proposal – whether mining will infringe on the cultural and religious rights of the forest dwellers. The village council members take to the microphone one by one and put forth their points of view in the local Kuvi language. ‘Our god’An interpreter translates each speech in the state’s official language Oriya and transcribes it on a piece of paper. The speakers are then asked to sign or put their thumb impressions on their statements. “Niyamgiri is our God. Niyamgiri takes care of our needs. We grow mangoes, berries, black pepper, cinnamon and other things here. Medicinal herbs grow here. We have 13 special prayer days for Niyamgiri every year. We would not let Niyamgiri go,” Badaka Diko, 70, says. She is not alone in her opposition to the controversial project: so far, 10 of the 12 villages selected for the “consultation process” have rejected Vedanta’s plans. Vedanta chairman Anil Agrawal has said he will “only start work if we have complete permission of the court and the people” and his company has already invested in an alumina refinery plant, roads, a township, school and hospital in the area. A resettlement colony has also been built for those who got uprooted when the refinery project came up. 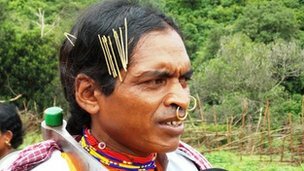 Lado Sikaka, a tribal leader, says that his land was “taken away by the company, the women in house were harassed, and the police beat me and my relatives accusing us of being Maoists”. Vedanta denies such allegations. 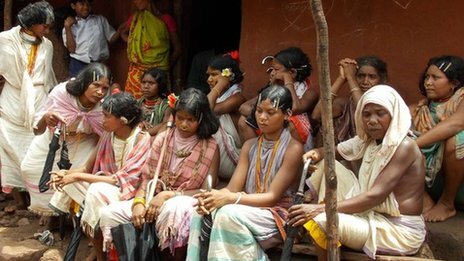 A federal committee has said the Orissa government did not consult the tribespeople while acquiring their land. A senior member of a tribal village council, Prakash Karsika, says they have nothing against Vedanta. “It is not Vedanta we have a problem with, we would not allow anyone to dig up Niyamgiri,” he says. The Geological Survey of India says the country has huge bauxite reserves and 74% of this is concentrated on the eastern coast. Mr Karsika says if mining is allowed in the area, it will be an environmental disaster – the whole forest will get destroyed and there will be no rains. The hill range is the source of dozens of streams and two perennial rivers – Bansdhar and Nagavali. “The two rivers and other water sources from Niyamgri irrigate large tracts of farmlands. If they dry up, you will not even get drinking water in the area,” says M Venkat Rao, a farmer from the neighbouring state of Andhra Pradesh, who has been living in the area for years now. ‘Undue haste’In its defence, Vedanta cites the report of an environment ministry panel which had recommended diversion of forestland for mining projects. But the report was questioned by a panel set up by the Supreme Court which also criticised the environment ministry for the “undue haste” in granting clearances to Vedanta. 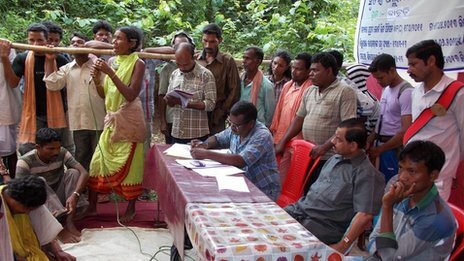 Later, another panel set up by the environment ministry said thatVedanta should not be given mining rights in Orissa. The committee, which investigated alleged violations of environmental laws by the company in Kalahandi district, “said mining would deprive primitive tribal groups of their rights over the proposed mining site in order to benefit a private company”. The findings also accused the company of illegally occupying forest land with the alleged collusion of local officials. There were also accusations of human rights violations, including police brutality and use of threats and force by local authorities against the tribals. Vedanta has consistently said it has complied with all rules and regulations but nevertheless it saw the cancellation in August 2010 of an earlier clearance given to the project by the environment ministry. The BBC made several attempts to contact the company to get its reaction to the consultation process, but the company had no comment to make. 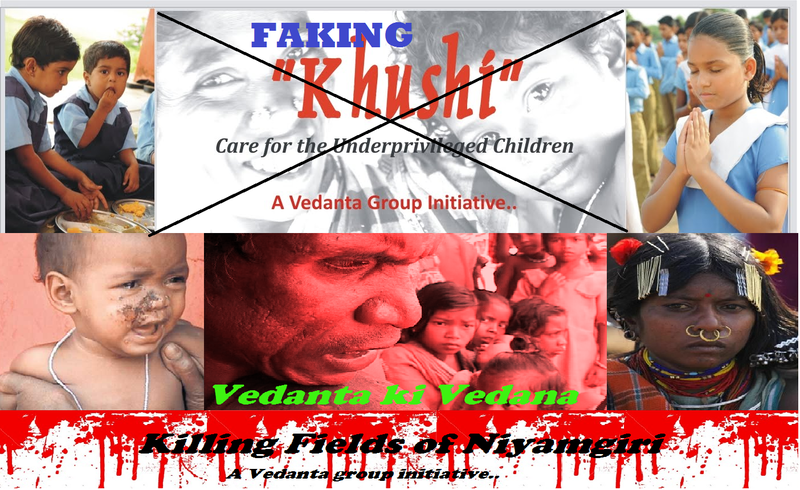 Media reports say that Vedanta has asked the state government for an alternative mining site. The consultations ordered by the Supreme Court are due to end by 19 August after which the court will get a report and will take a decision. The village council votes are likely to heavily influence the court order, although they will not be the sole consideration. With only two of the village councils left to meet, the odds seem heavily stacked against Vedanta and its multi-billion-dollar project. The project has also sharpened the debate over the investment climate in India, its drive for economic development versus the rights of the local people to continue with their traditional way of life.